The pub rock scene that evolved in the late 1970s grew as an alternative to the Lion Breweries national touring circuit, which tended towards Top 40 covers bands and cabaret acts. There had always been alternatives to this circuit, with privately owned establishments operating outside the confines of Lion Breweries, but it was a new company, New Music Management, that developed a genuine national pub rock circuit. New Music Management was formed in 1979 by four people: promoters Benny Levin and Russell Clark, singer Craig Scott and booking agent Mike Corless. Corless was at the helm. Born 1948, Mike Corless was raised in Dannevirke at a time when the small Hawke’s Bay township still regularly hosted touring shows. "I'd catch all the shows passing through Dannevirke," Corless remembers, "but Johnny Devlin was my hero and I saw him before three or four times." Corless, however, was attracted to the business side of the music industry. In 1966 Corless spent three months in the Army. It was upon his discharge, relocating to Hastings, that he took up drums, playing with a number of short-lived bands. Corless, however, was attracted to the business side of the music industry. In 1968 he formed Top Line Entertainments and began attracting established acts to Hawke’s Bay. In 1969 Top Line Entertainments promoted a one-day festival, headlined by The Fourmyula. The event was rained out, but unperturbed, Corless organised a similar event for the following summer at Napier's Nelson Park. This time the weather held and 2,000 people turned up to see Shane, The Chicks, Dizzy Limits and others. After this success, Top Line Entertainments entered the hotel entertainment business in 1971, booking acts into provincial hotels, complete with a door charge. After half a century of restrictive opening hours for New Zealand hotels, 10pm closing had been introduced in October 1967. Initially, most in the liquor industry viewed the new licensing laws as merely an extension of the “Six o'clock swill”: four more hours to sell product. It took a few years for the drawing power of live entertainment to be appreciated. Breweries showed no interest in entering the promotions field and most publicans felt that live music belonged in dance halls and nightspots. To accommodate the new liquor laws, New Zealand's biggest brewery, Lion Breweries, began building their own taverns, or adding extensions to existing structures. These “beer barns”, as they were unkindly but accurately labelled, were generally vast, barren rooms, well suited as entertainment venues. In 1971 a Lion Breweries employee, Richard Holden, was appointed National Entertainments Manager to establish a national touring circuit. With fewer property holdings, Dominion Breweries, Lion's main opposition, didn't follow suit and independently owned hotels just weren't in the loop. For the next seven years Lion Breweries had a virtual monopoly on a hotel touring circuit. There were exceptions of course, and some bands managed to hobble together a series of gigs to resemble a national tour. But there were plenty of pitfalls. Most pubs preferred bands to play three nights, Thursday to Saturday, leaving them away from home with no gigs or accommodation for four days a week, and it wasn't uncommon to drive hundreds of unnecessary miles, zig-zagging across the country from gig to gig. The Lion Breweries circuit was pretty lucrative (payment was per musician, not per act) and a typical tour was three months, performing six nights a week at 12 different venues. Some hotels settled for a resident band with guest artists providing a 20-minute floorshow. Preference was given to middle-of-the-road performers with a visible profile. Television exposure helped. Latter-day Māori showbands remained popular, and there was growing resentment about the number of imported Filipino bands with parrot-fashion Top 40 covers. Meanwhile New Zealand booking agencies, including Hegan Entertainment Services, Fullers Entertainment Bureau and Phil Warren's Prestige Promotions, attempted to place their acts in hotels as best as they could. It wasn’t too difficult for one-off performers but national tours were another matter. 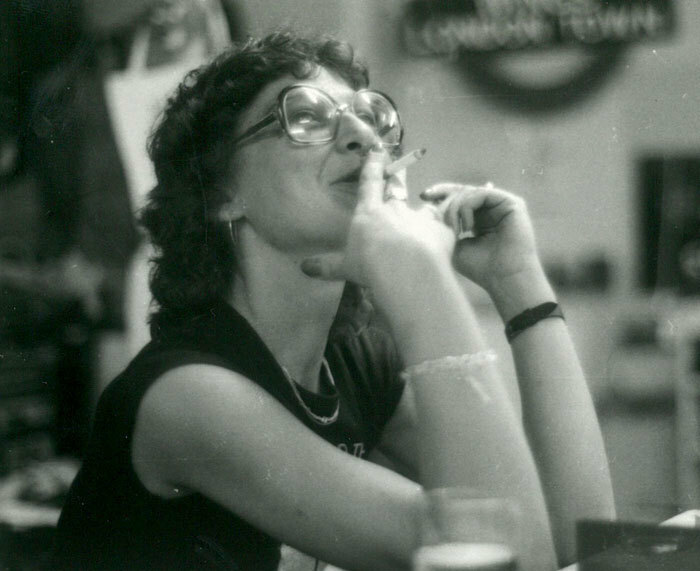 Without costs being subsidised by the brewery, non-Lion publicans paid bands a pittance regardless of stature and most were loath to allow a door charge. 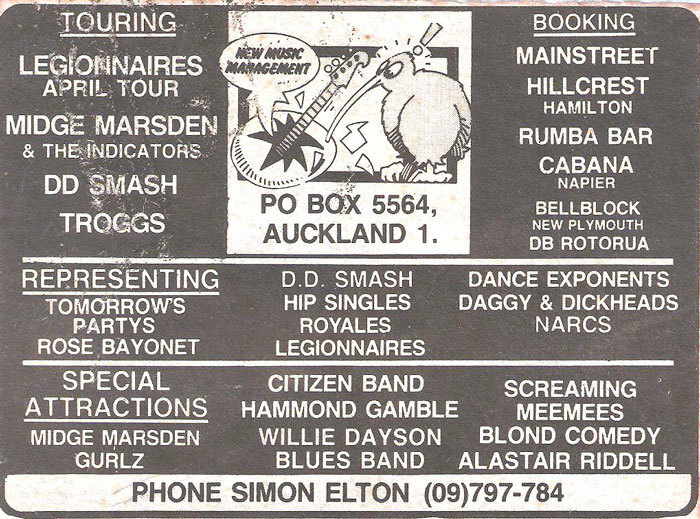 This was the general state of play in 1973 when singer Bobby Davis and Mike Corless started Davco Promotions in Auckland. Davis, originally from Christchurch, had worked extensively for Corless' earlier booking agency, Top Line Entertainments in Hastings, which largely placed acts in the North Island provinces. Davis suggested that the pair team up in Auckland. Looking back, Corless says, "There was definitely some initial reluctance [from publicans] regarding a door charge but that changed when the format proved successful." Acts included Chapta, Craig Scott and Bobby Davis. In December 1972 Corless promoted a national theatre tour featuring the stars of the Happen Inn television show, including Davis and Scott. This success led to Corless and Davis teaming up. 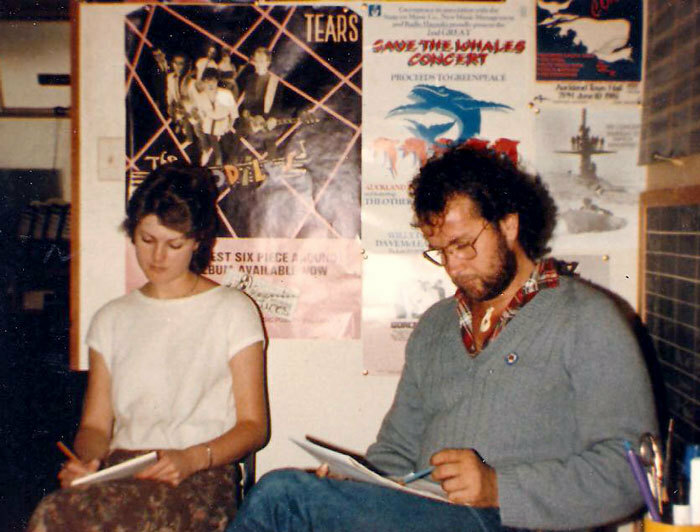 The new booking agency concentrated on a handful of acts, including The Māori Volcanics, Steve Gilpin and Bunny Walters, but it was a tough slog. "Lion Breweries had the only pub circuit," Corless remembers, "but they didn't want to know about us. In fact, Richard Holden banned us from Lion pubs!" Competing with Lion Breweries and the more established agencies, Davco mostly struggled, albeit with the occasional high point. Competing with Lion Breweries and the more established agencies, Davco mostly struggled, albeit with the occasional high point. 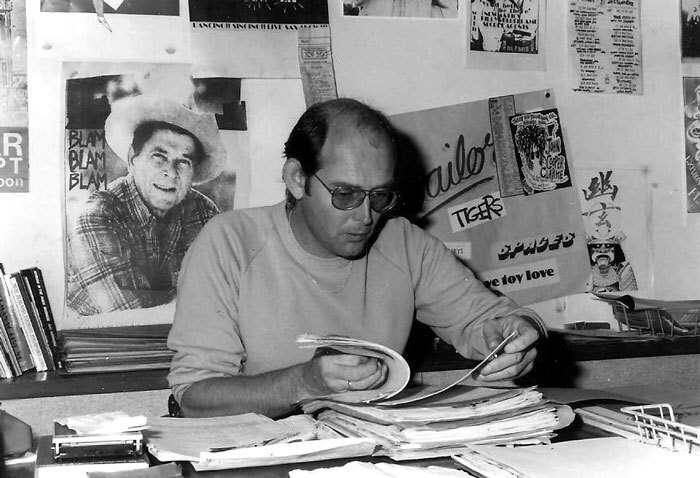 Although their own agency was in competition, well-established promoters Benny Levin and Russell Clark appreciated Corless and Davis' endeavours. As managers of Erana Clark, Craig Scott and Bunny Walters, their charges were regulars on the Davco books. In 1975 Mike Corless encountered a new Auckland group, Hello Sailor, who were determined to play their own material. In July he sent them on a three-week North Island provincial tour. It started a relationship that survives to this day. Davco Promotions folded in 1977. "I had to get a real job,” says Corless, “selling shampoo!" In 1978 Craig Scott, his performance career in decline, approached Corless about starting a new agency and together they approached Scott's former managers, Benny Levin and Russell Clark. 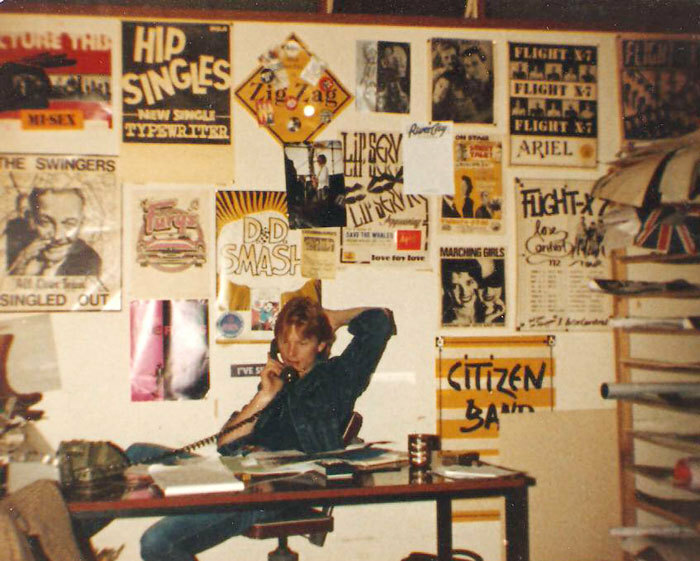 They nutted out a deal and in March 1979 New Music Management was operating out of Levin's Durham Lane offices. By this stage, Richard Holden had been promoted within Lion Breweries. With no replacement for his former position as National Entertainments Manager, Lion Breweries' monopoly on a national hotel circuit came to an end. "Benny and Russell concentrated on international shows," Corless says. "Craig and I did the local bookings although I think they only involved Craig to keep an eye on me! Most bands were managing themselves, doing their own bookings, so we had to convince them that we could do a better job." 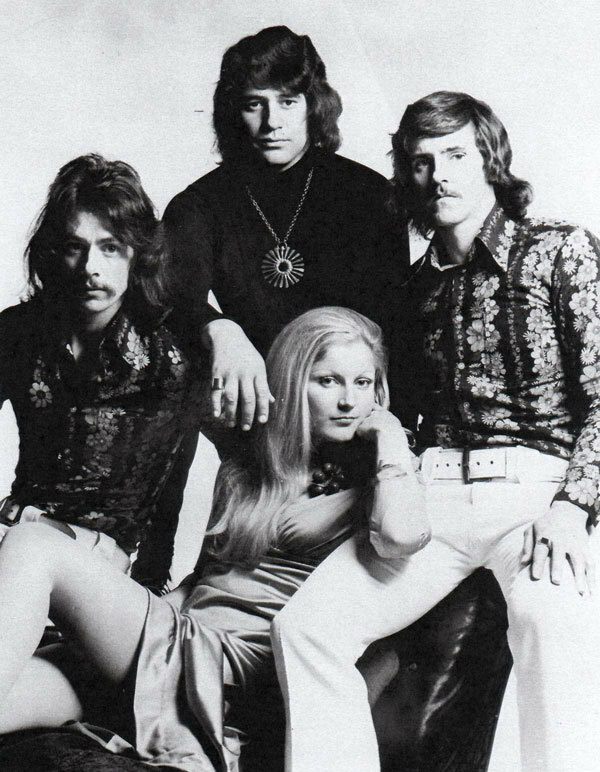 Flight X7, personally managed by Corless, was an early signing, but throughout 1979 New Music Management struggled like any new business. What turned it for them wasn't an exclusive roster of acts but several exclusive Auckland venues – Kicks nightclub on the North Shore and the Station Hotel and Mainstreet Cabaret in the city. Setting up a genuine national circuit had its problems, particularly convincing hotels to accept early-week bookings, and just sorting a schedule around available venues without extraneous travel had its difficulties. And then there were the publicans. "Some were difficult," Corless says, "but others were good, some were just hard old buggers, old school. They didn't have to do much, really, provide accomm and maybe a meal, and pay for an ad or two although most advertising we paid for ourselves. The Cabana [Napier hotel] was probably the only one that went out of the way to be supportive." 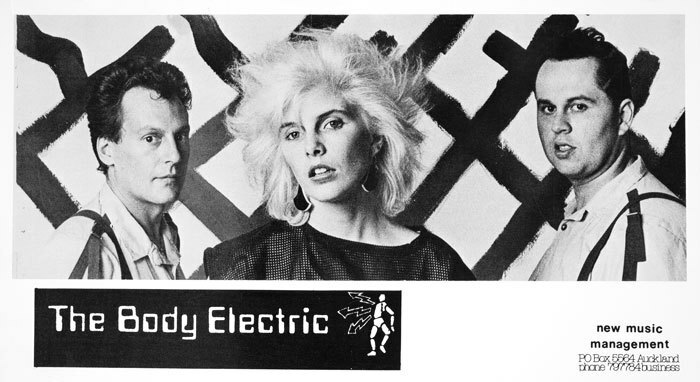 In 1980 New Music Management started to make progress, booking Coup D'Etat, Lip Service and other name bands, and scoring the contract to book acts into Mainstreet Cabaret. 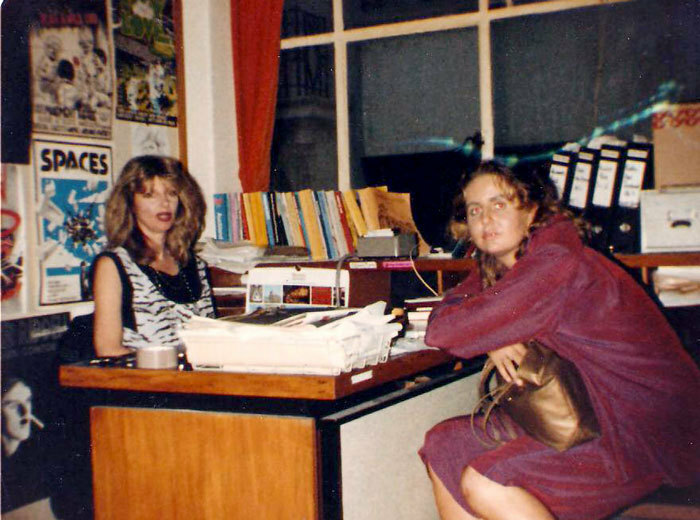 In 1980 New Music Management started to make progress, booking Coup D'Etat, Lip Service and other name bands, and scoring the contract to book acts into Mainstreet Cabaret, Auckland's largest nightclub. Business increased throughout the year and by 1981 NMM had established a national tour circuit, mostly pubs and the occasional club, with outdoor beach resorts in summer. New Zealand hadn't enjoyed such a vibrant music scene since the 1960s and NMM deftly manoeuvered through the changes in the industry. Larger PA systems required a stage crew and larger transit vehicles, promotional posters and press kits had to be sent out in advance, with media schedules and accommodation arranged. Most national tours lasted for three to four weeks, some stretched to seven weeks. The Legionnaires (managed by Corless), DD Smash, Blam Blam Blam, The Screaming Meemees, Toy Love – NMM had bands on the road almost continuously, sometimes three or four shows at a time. There were some great successes, notably The Pink Flamingos' summer tour with The Newmatics in support. In January 1982 over 5,000 attended the show at New Plymouth's Pukekura Park. In 1981 Corless visited Michael Chugg at Sydney's Harbour Agency. "We decided to branch out and bring top Aussie acts over. I think The Angels was first, with INXS in support. 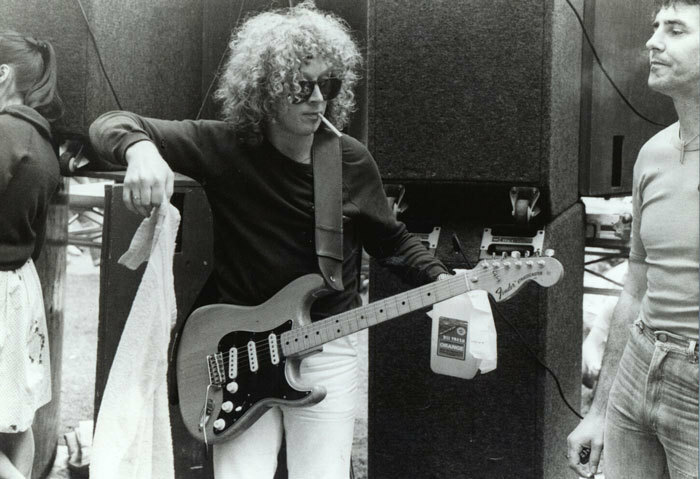 Then we had Cold Chisel, Mental As Anything, Hoodoo Gurus … "
A popular Australian concept of the early 1980s was The Party Boys, which pulled together top Aussie players for one-off tours. 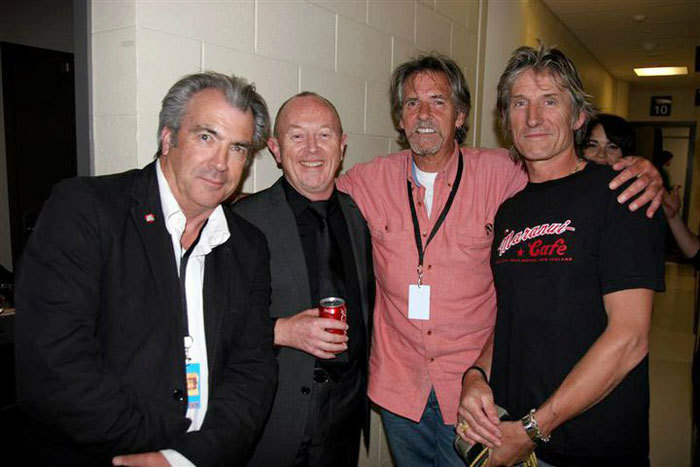 A number of New Zealanders featured, including former La De Da's member Kevin Borich, an original Party Boy, and Dragon's Marc Hunter. 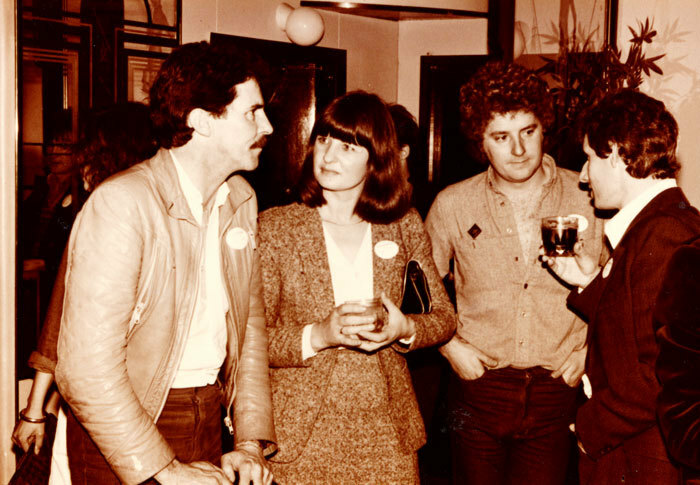 In 1984 Corless filched the name and concept with a line-up featuring Graham Brazier, Dave McArtney, Dave Dobbyn, Jenny Morris, Mike Chunn and Peter Warren. 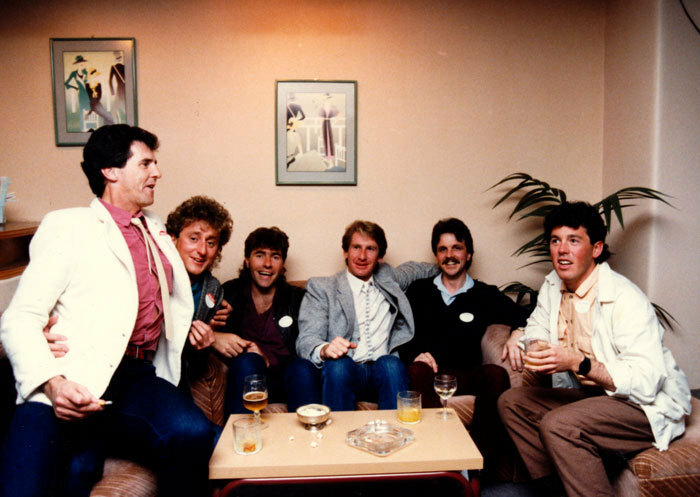 The tour was a huge success and several more Party Boys tours followed, with line-ups featuring Neil Finn, Marc Hunter and Australia's John Swan. There were other successes. NMM toured England's Dr. Feelgood three times. "The Feelgood crowds got bigger every tour," Corless says. "First they did the pubs and then they did the big pubs and then they did the theatres. Kiwis loved them, a great live band." In 1988 New Music Management folded. "The business started to fall away, Craig had gone and then Benny got sick (he died in 1993). Doug Rogers asked me to manage the Powerstation so I took it." A typical New Music Management RipItUp ad. Most issues carried one in between 1980 and 1988. Corless remained at the Powerstation for 18 months but had grown restless. In 1990 he shifted to London and remained there for 17 years, falling on his wallet when he and friend Stuart Mitchell noticed a gap in the insurance market for New Zealanders and other colonials. The result was Downunder Insurance. "The money is more consistent than rock and roll," Corless says. Despite the career change, Corless wasn't entirely absent from the music industry. He arranged London gigs for The Exponents, and comedians Mike King and Ewen Gilmour. A concert by Midge Marsden at The Walkabout in Shepherd's Bush (featuring All Black Josh Kronfeld on harmonica) attracted 1,500 people, mostly New Zealand expatriates; a second visit by Marsden saw him perform at the renowned Ronnie Scott's Jazz Club. Mike Corless returned to New Zealand in 2007. He says he's semi-retired but don't believe it. He spent a bit of time working with Barry Blackler's Blackout Music Management company and managing his old mate Graham Brazier. Looking back over his career, Corless says, "I think I enjoyed the touring most of all. It was always fun on the road. I had some great times. Highlights? All the Sailor tours were fun. The Flamingos summer tour was a biggy. One that stands out and really blew me away was Toy Love. That tour opened my eyes because I wasn't a big fan at first. But those guys were just wild, I couldn't believe it, and the audience – I'd never seen anything like it, great fun."